Phil was great installing few items on a Tacoma. He is thorough and fast. I will go to Smooth Ride auto for any future needs. Hard to find a local shop that is honest. I went to Phil on a recommendation from Toytec next door and I couldn&apos;t be happier. I desperately needed new front shocks before we went out of town for the holidays. I found shocks but needed them installed ASAP. Phil was able to get me in same day and did an amazing job at an unbelievable price. When I took the truck for the alignment the tech asked how I got it so perfect. All it needed was a tweak on the toe. I&apos;ll be going back to Smooth Ride for all my work from now on. Great mechanic! Very quick and perfect price! 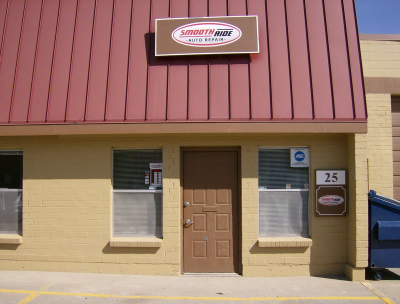 I have been to smooth ride twice, and I have had a great experience both times. Always the best prices and quick service. Will definitely continue to return when a car service is needed. I highly recommend this place! Phil has worked on my ’94 Toyota pickup twice (separate issues each time) and the quality of work and the value are exceptional. He’s an honest, stand-up guy, and nobody, but NOBODY, works on my truck but Phil. great price, and timely fix!! I needed a couple repairs done on my chrysler 300m, and I needed the repairs done within a day,as 1 of my jobs requires the use of my vehicle. I called Phil at Smooth rides after seeing the great reviews he has received, and hoped he could get the job done the same day. I dropped the car off on a Wednesday after hours, and he had my car done that next afternoon. I was so impressed that he was able to get my car in and out so quick, and also at half the price of the Chrysler dealership. I would also like to mention that he degreased under the hood of my car, and my interior showed no signs of grease anywhere. That shows that he truly cares about the quality of his work, that is hard to find these days. I highly recommend Smooth Ride for your next maintance, or repair. You will not be dissatisfied. I would highly recommend this repair shop! Phil the owner is a man of his word. Met Phil to discuss needed repairs for my Subaru Forester and what it would cost. Phil made a quote and several recommendations. I liked the quote and we set a repair date. Delivered the car on Monday and as promised, the car was ready on Friday. The cost was within a few dollars of the quote, the change was due to an additional item not on the quote. I did have to come back for an adjustment and Phil did the work at no additional cost and the car is purring along now. My daughter has a 95 Dodge Neon, we had the fuel pump relaced here several months ago and needed some other repairs completed. The staff here is wonderful. 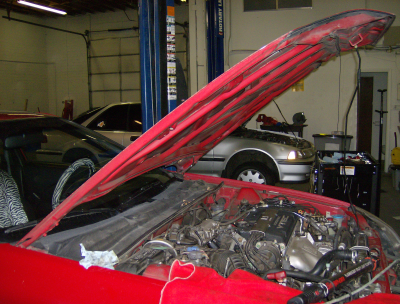 They are very thorough with the repair and make sure that everything is working correctly before the car leaves. The repairs came in lower than what was originally estimated which was a very nice surprise. They even stayed late to accomodate us in picking the vehicle up. I can&apos;t say enough about the service they provide. It&apos;s just wonderful!! 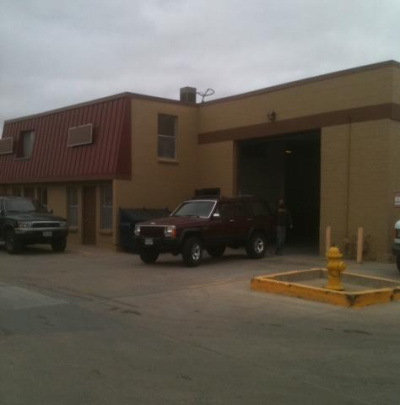 I will continue to have all of my vehicle repairs done here. I called early this morning and asked for a quote on getting some new break pads and rotors, the price was much lower than what I had seen online and been quoted by others. Phil offered to get me in that afternoon. I went down and was greeted as I exited my vehicle. Phil is very trustworthy and works very hard to beat competitor pricing, I felt very comfortable speaking with him because I could tell he was an honest man. I was in and out of there in no time. Once again I strongly recommended Smooth Ride ! Phil at Smooth Rides has been the most trustworthy mechanic I have ever worked with. I never thought I&apos;d find a mechanic like him. He&apos;s honest with his recommendations and superior with his work. Very thorough, fair pricing! Good work Phil, I&apos;ll recommend you every chance I get. Serving Northglenn and the surrounding areas.